Why the exciment in the title? 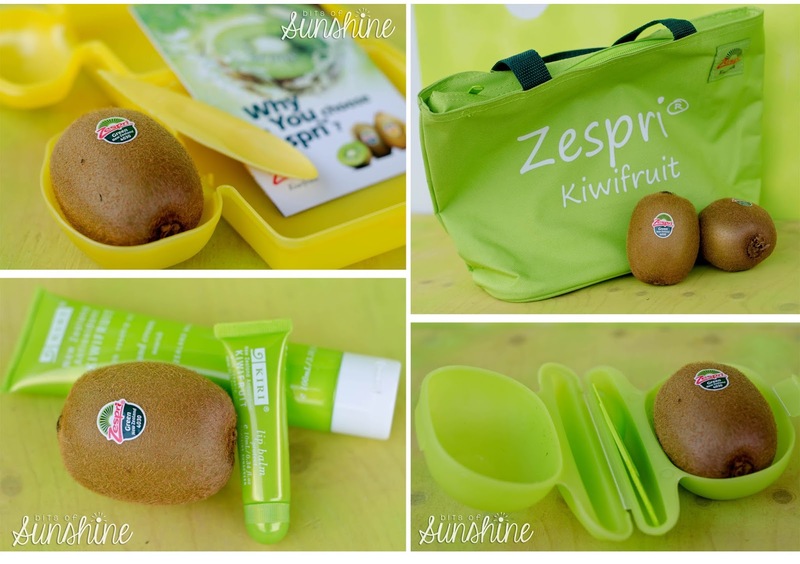 Well...I have 14 days of pure bliss coming up, thanks to the Zespri Occupy Lunchbox campaign - and yes it has to do with kiwi. I adore kiwi. 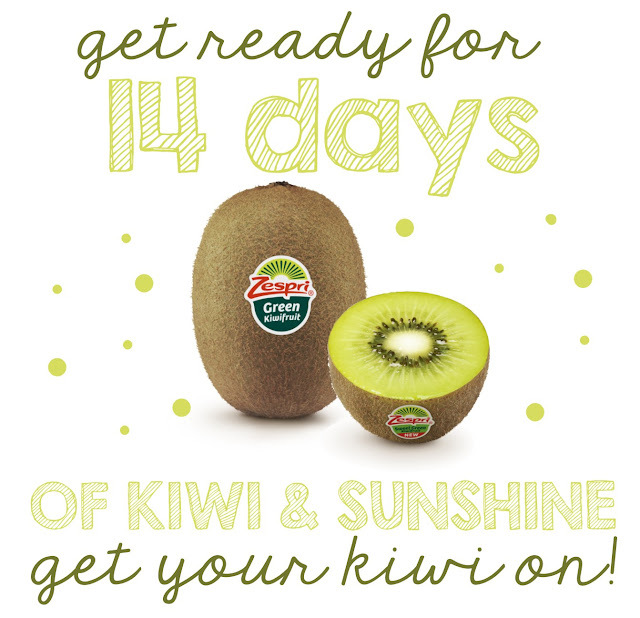 I always have, so getting a two weeks supply of gorgeous kiwis from Zespri is pretty awesome! They asked a couple of S.A bloggers to *challenge* themselves to eat kiwis and help them promote the benefits of these beautiful, tasty fruit. Ha! No challenge at all!!! P.s - If you happen to pop on over to their blogs, don' t forget to give them some comment love!!! A total bonus of eating kiwi for two whole weeks is that Zespri kiwifruit is not just any fruit and it is suitable to eat anytime of the day to provide you with vitamin C, dietary fibre, potassium, folate, vitaminE and other antioxidants. The fruits have a low GI and are low in fat, and sodium. Say whaaaat? That is like a powerhouse of benefits in one little green package! So I am helping the campaign in encouraing other South Africans to pack a nutritious lunch and include the minimum daily dietary requirement, including at least one fresh fruit a day as Zespri’s own research indicate that only 52% of South Africans say they eat at least one portion of fresh fruit a day. Bite for bite, kiwifruit contains more essential nutrients than 27 of the most popular fruits and five times the nutrition of apples - making it one of the most nutrient rich fruits in the world. I really wouldn't be a part of this campaign if the health of our country wasn't close to my heart. I know I have a baking blog, full of butter and sugar, and those are awesome - in moderation! But I have been on a serious weightloss campaign over the last two years, working hard to get down to a normal BMI. You see, I suffer from PCOS, and maintaining a healthy weight would be the best way to combat my condition! I find eating a good lunch makes a big diffenrence, it keeps me from getting home from work and devouring everything in sight before I have the chance to cook a good dinner. So I am super excited to get going tomorrow, I have learnt so much in the last week about kiwis and why they are super wonderful, and I can't wait to share that with you! 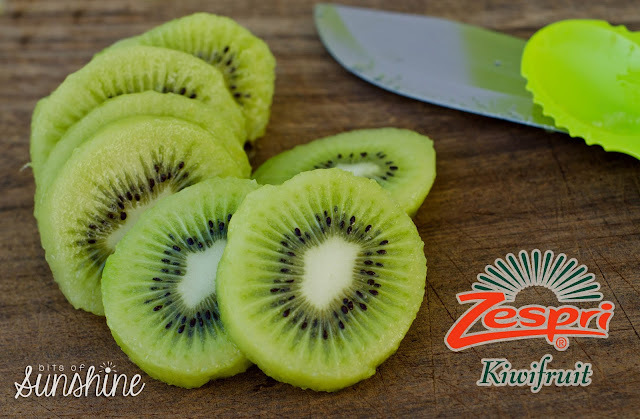 Each day for the next 14 days you can pop over here and read some cool facts about kiwis, check out some really yummy and inspiring recipes and perhaps win some sweeeet prizes, including a R150 Fruit and Veg voucher! Woop woop! Annnnd, I have a discovered a very cool way to peel your kiwis which I will show you! So, I hope I will see you over the next 14 days! Want to win your share of Yuppiechef vouchers? Simply take a picture of yourself, kids, colleagues or family enjoying Zespri kiwifruit using the Cut, Scoop, and Enjoy method and you could be one of four winners to score R1000 in Yuppiechef vouchers and Zespri goodies. Send your submissions to Zespri@storybookcommunications.co.za before 31 October 2013 and you could be the lucky winner. Terms & conditions apply. P.s - keep an eye out for a tutorial on the Cut, Scoop and Enjoy method right here on Bits of Sunshine! See you back here tomorrow for some kiwi fun!